Nubeva Prisms connects your cloud. Packet traffic from public cloud applications and infrastructure are acquired, processed and distributed to your security, monitoring and compliance tools. 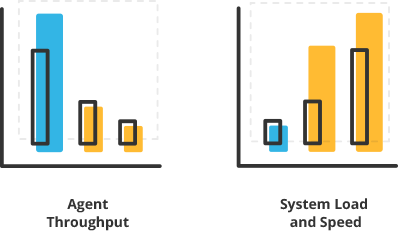 Nubeva Prisms goes beyond logs and digests to deliver deeper visibility than AWS or Azure provide. 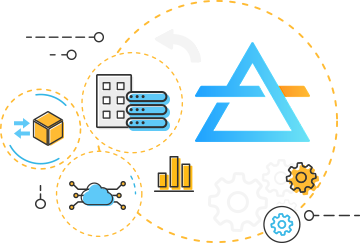 Our container-based Prisms technology scales infinitely and deploys automatically to process and replicate packet traffic to any number of tools, both in-cloud and on-premises. Use the tools, teams and processes you already have in place. Accelerate your cloud transformation with clarity and confidence. Acquire packet traffic from any public cloud source. Solve agent sprawl with a single, scalable next-generation agent for all your cloud tools. Cloud provider infrastructure like agentless Azure VTAPs and VxLAN devices like cloud firewalls and routers. The Prisms Services Processor (PSP) is container-based and infinitely scalable. 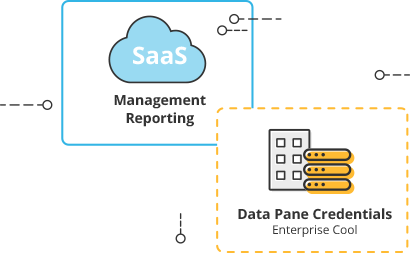 It sits inside your own cloud subscription, which maximizes security while minimizing impact on resources and exit charges. Distribute cloud packet traffic to any team, tool or process you require. Replicate the same source packet stream to multiple destinations to save cost, compute overhead and manage strain. Replicate full packet streams for storage, monitoring and compliance, or use advanced sampling to send the heartbeat of your cloud to your teams and tools. Flexibility is at the core of the public cloud. That’s why Nubeva Prisms supports flexible deployment and flexible architectures. Send to any reachable IP address in the cloud or to on-premises IP addresses via AWS Direct Connect or Microsoft Azure ExpressRoute. Nubeva Prisms includes orchestration and intake support for packets from cloud service provider infrastructure. Orchestrate infrastructure like Microsoft Azure Virtual Network TAPs. 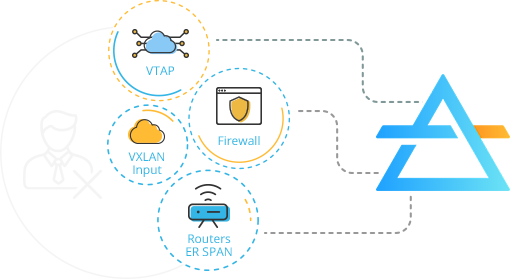 Acquire, process and distribute packets from VXLAN enabled cloud routers and firewalls. Empower agentless access with advanced processing and scalable replication from Nubeva. Or combine VTAPs with Nubeva Prisms next-generation agents for full coverage across all regions. This makes Prisms extremely high performing with incredibly low resource consumption allowing you to scale without disruption. They are not required on destination targets and do not require reboot or re-imaging. Nubeva Prisms agents can replicate packet traffic to any number of destinations, which means you can consolidate all other agents into a single Prisms agent and reduce your cost, compute and management overhead. Nubeva has pioneered an innovative split-SaaS architecture. 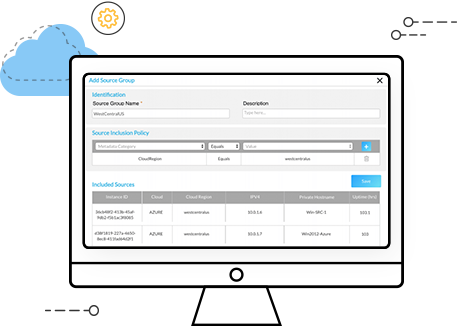 This design delivers SaaS convenience, SaaS pricing and SaaS ease with the integrity of enterprise-grade security. 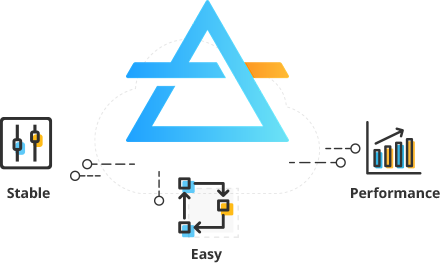 Nubeva Prisms delivers SaaS convenience with instant-on, instant-scaling and policy-driven management. Meanwhile, all collection, processing and distribution of your data stays secure in your data plane. 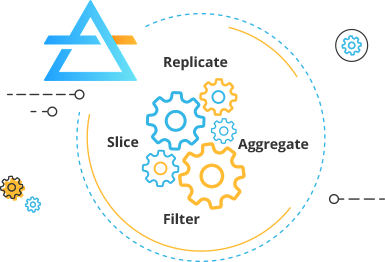 Secure REST API enables integrations with orchestration platforms. Nubeva Prisms sensors have successfully tested at 3.5Gb per second of mirrored traffic on a single VM with no packet loss and very low CPU and memory utilization. Nubeva Prisms has been tested at cloud scale with more than 100,000 input sources generating a collective 100Gbps+ of network packet traffic. Sensors and Prism Service Processor engines automatically scale horizontally as your demand and usage requires. Nubeva Prisms is policy based and rules driven, which means you can set rules and policies once and let them run. This fire-and-forget convenience means you achieve advanced visibility, grooming, filtering and other monitoring without sacrificing the convenience and elasticity of the cloud. Automate visibility of new resources. Trigger enhanced packet recording based on cloud events or anomalies. Orchestrate heart-beat, sampling with suites of security and inspection tools with a single policy. We live and breathe cloud-native technologies and our experts are always eager to speak with you. Click the Contact Us button here and send us your questions or comments.